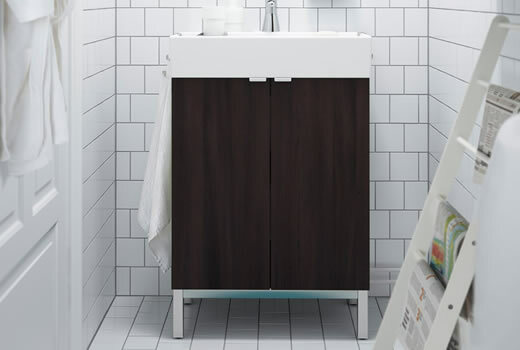 Our LILLANGEN furniture series helps you make the most of even a tiny bathroom. The washbasins and cabinets come in different widths and depths so you can pick what’s best for your space. You can even combine them with open shelves if you like. And there’s a choice of colours, all with the same streamlined look, to suit your style. Review our buying guide to see all parts and combinations of LILLANGEN Series before planning your bathroom.